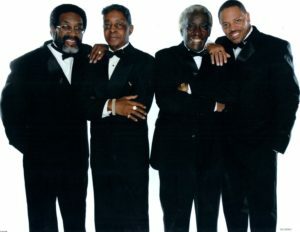 The Downtown Smithfield Development Corporation has announced that The Original Drifters will headline the 35th annual Ham & Yam Festival with a free concert scheduled for 8:00 p.m. on Saturday, May 4th. In addition to the free 8:00 p.m. concert on Saturday, May 4, there will be entertainment on the festival’s three stages throughout the day. “We are fortunate to have a large number of very talented up and coming musicians and entertainers here in Johnston County and North Carolina, and are pleased to be able to shine a spotlight on them at the festival,” states Edwards. A full schedule of events on Saturday, May 4 will attract thousands of people to Downtown Smithfield, where the festival occupies several blocks. Craft and commercial vendors line the streets, food vendors offer a variety of fair foods and menu items featuring country ham and sweet potatoes, and additional entertainment comes in the form of pig races, children’s activities, and more.